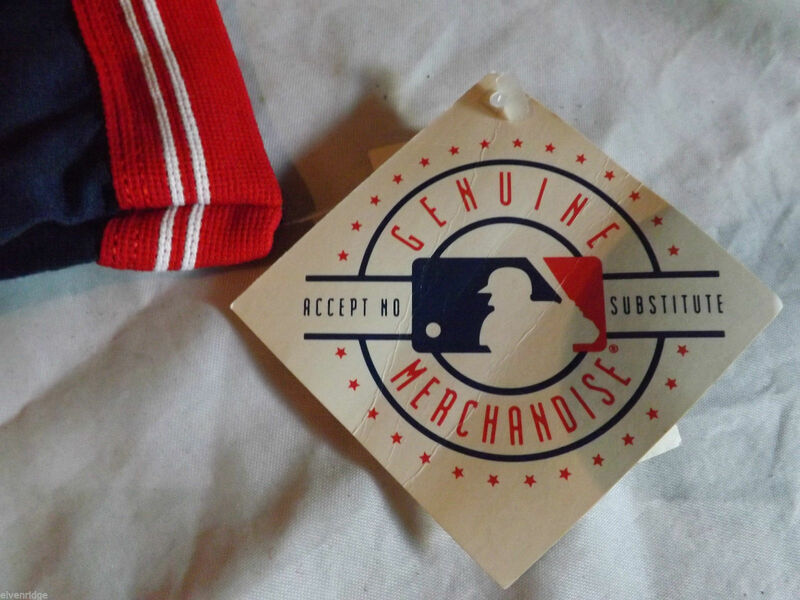 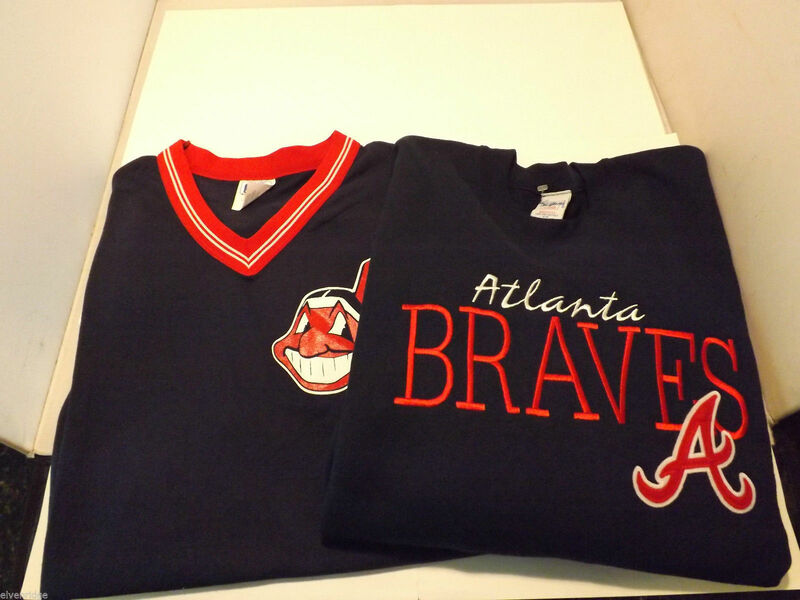 This lot includes an Atlanta Braves sweatshirt from The Game size XL, and an Atlanta Braves shirt from Majestic, an official licensed MLB shirt. 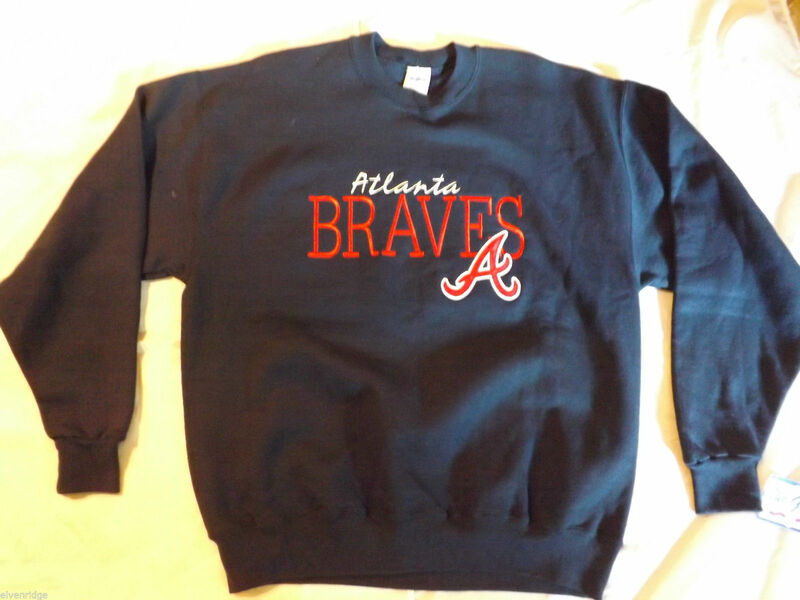 The sweatshirt is a navy blue 50% Cotton 50% Polyester blend in great condition with no stains or rips. 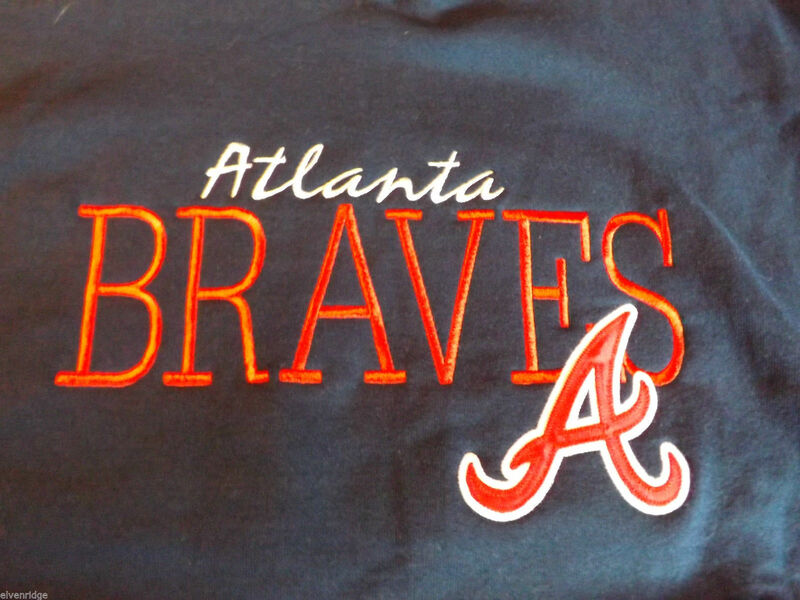 The sweatshirt also still has tags attached and has the Atlanta Braves embroidered on front chest. 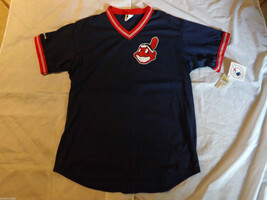 Measures 28"(L) x 24"(W) and sleeve span 67". 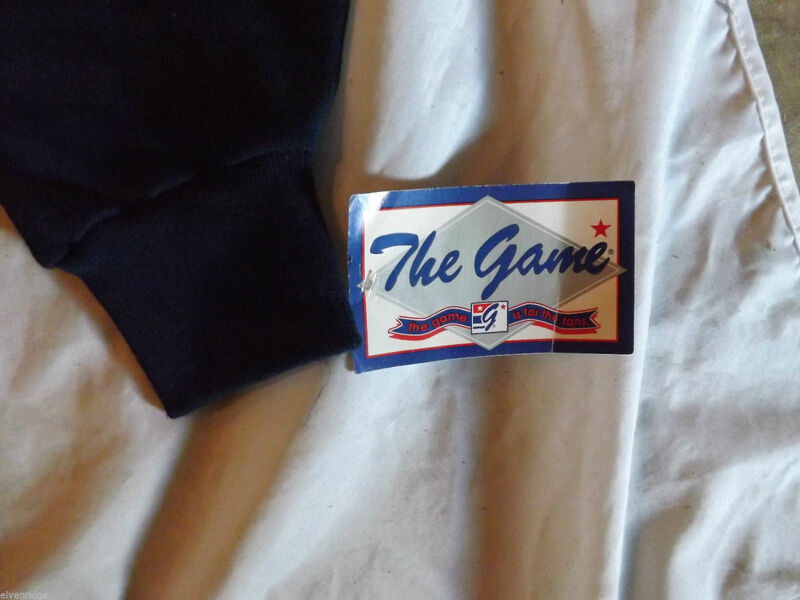 The shirt is a navy blue 50% Cotton 50% Polyester blend in great condition with no stains or rips and the tags still attached. 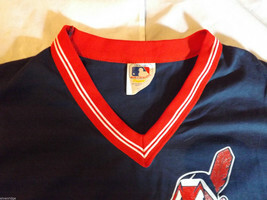 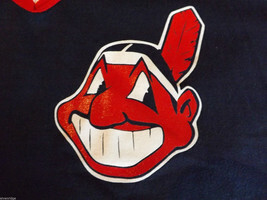 It has the iconic Indian with feather representing the Braves screen printed on the front and with red and white ribbing around collar and sleeves. Measures 30"(L) x 22 1/2"(W).